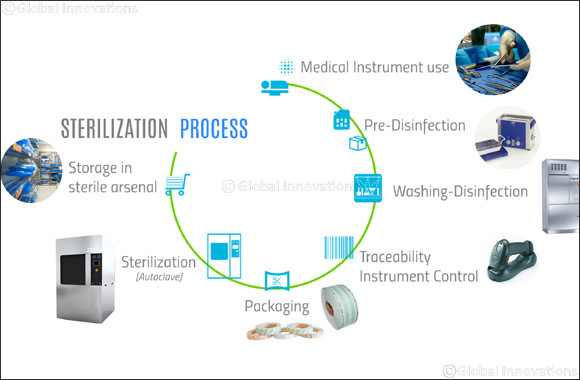 Intuitive and compatible with all types of equipment (washer-disinfector, autoclave, etc. ), whatever their brand or technology. S@TIS software suites for Medical Devices and Supervision System Traceability will facilitate managers' efforts, thanks to an integrated statistical analysis tool, assessing the performance of devices daily and guaranteeing the security of the process – and thus of the patient. From January 28th to 31st 2019, S@TIS will be exhibiting in the France Pavillon, Arab Health - Za'abeel Hall 2 - stand B50 (STEAM France' stand) at the Dubai International Exhibition and Convention Centre, Sheik Zayed Road Convention Gate, PO Box 9292, Dubai, UAE.